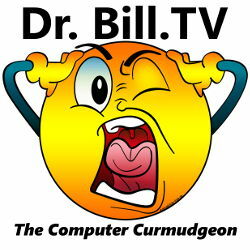 Dr. Bill.TV | The Computer Curmudgeon - Page 351 of 358 - Join Dr. Bill as he examines the wild and wacky world of the web, computers, and all things geeky! 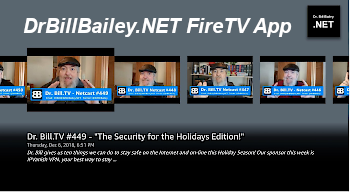 Hot Tech Tips, Tech News, and Geek Culture are examined... with plenty of good humor as well! …did I mention it was a boring week in tech? Linux Pro Magazine Reports that HP Laptop ALMOST shipped with Ubuntu Linux! Exceptions are the SD-card reader and the Broadcom wireless device. For both devices no Linux drivers are available. 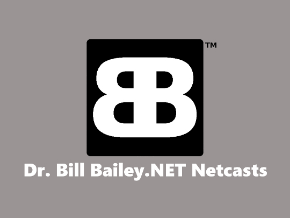 But the Broadcom wireless device can be run with ndiswrapper and the windows drivers. Way to go HP! Come on, go for it! Release a “production” laptop with Ubuntu packaged on it! I double-dog dare ya! We just keep developing technologies that Star Trek predicted… and now… we have a REAL tractor beam! For a Trekker like myself… this is just TOO COOL!